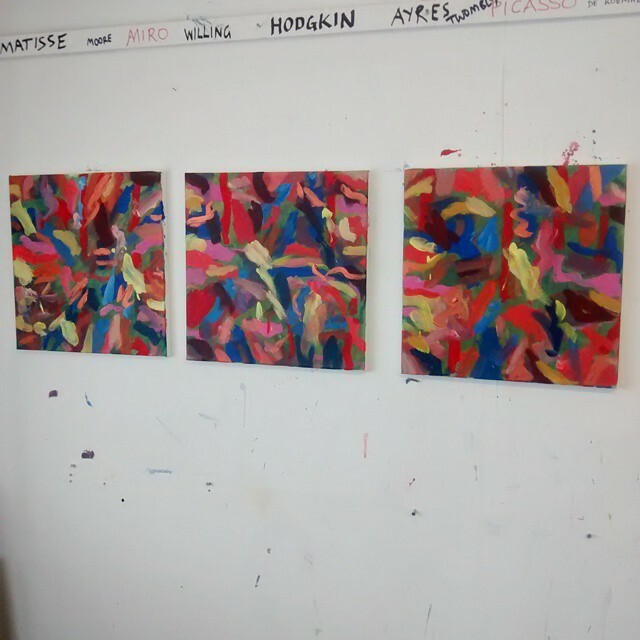 1980 – day one – three new canvases and some over-painting. 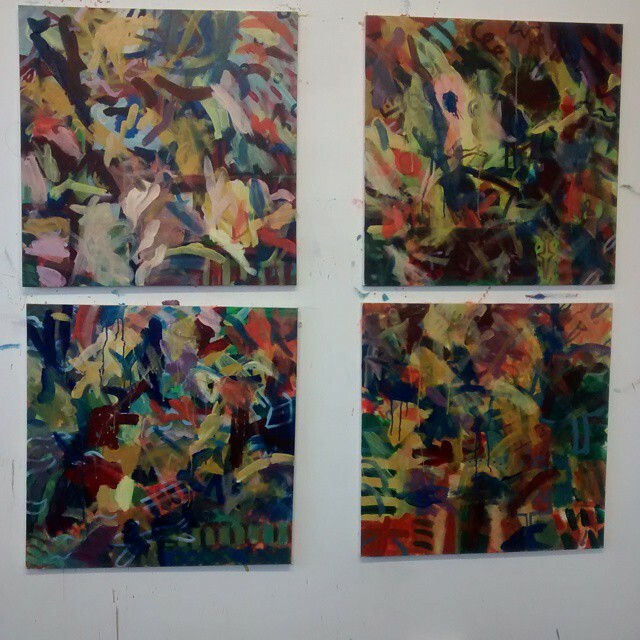 So thanks to Steven Ingman (another inmate at 3rd Space Studios currently on remission) I started another set of three square canvases. Happy with how turned out. Also went back to some curious 2′ square canvases from a couple of years back with graffiti type symbols on…didn’t work for me so started over-painting..still in process. 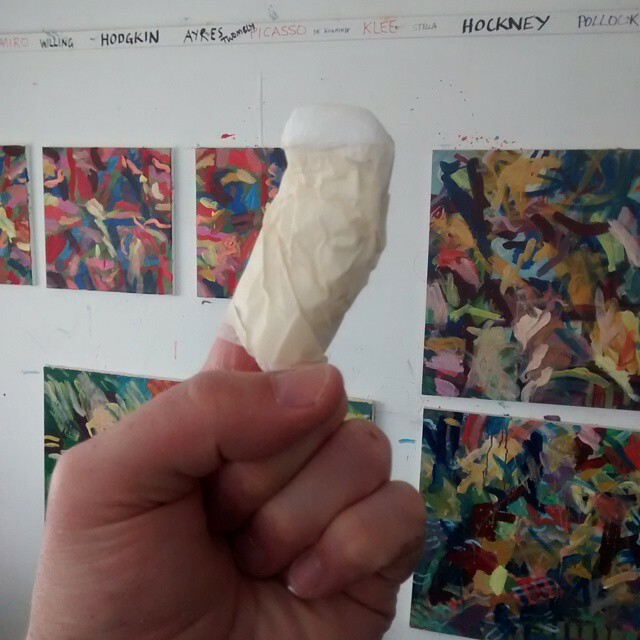 All in all keeping up momentum …maybe some drawing tomorrow until the finger heals……painting with a screwdriver doesn’t work just get red stuff on the floor :-(….